Raw milk has amazing health benefits, but it can be expensive and hard to find. Here are our best tips for sourcing raw milk easily and affordably. When I say “raw milk” what’s the first thing you think? Be honest! No judgment here! The first time I was offered a glass of raw milk I was really nervous to try it. There was a fear that had been ingrained about the dangers and possible pathogens lurking inside. And, if I’m being honest, I actually expected it to taste gross! As though some magical transformation happens during pasteurization that makes the milk taste yummy. But what I drank tasted remarkably like…wait for it…MILK! Shocker! By now ya’ll know our love of raw milk. We’ve discussed the importance and the health benefits many times over, and now it’s time for you to take action (if you haven’t already) and find a raw milk source near you! Healthy Change #17 is sourcing out raw milk where you live. I fully understand this may be more challenging for some. There are states that have outlawed the sale of raw milk, and other states where buying raw milk costs a small fortune. My hope is to give you a few tips in making raw milk a reality for those who are ready. With a few helpful tips, you may be pleasantly surprised to find a local supply costing less than you imagine. Grocery store/Health food market: Where we live you can buy raw milk at the local grocery store. Granted not everyone lives in small-town America where farms are plentiful and laws are lenient, but it’s worth calling around to your local stores to be sure. Ask around: Visit your local health food market and ask the employees, or manager if they know anyone local who sells raw milk. I’ve found numerous vendors in our area this way. Search the web: Google-it! The all-knowing Google has much wisdom and knowledge (you know, sort of!). If Google doesn’t help, then visit the Real Milk Finder to search for raw milk by state. Call a chapter leader: Know of any Weston A. Price chapter leaders near you? As a chapter leader, it’s one of their duties to source raw milk in their area! Let them do the leg work for you! To find a local chapter leader visit Weston A. Price and search by state. Search around: Find as many local sources for raw milk as possible. In our town we can buy raw milk at the grocery store for close to $7/gallon. Most of the local farms sell their milk for $5/gallon. For us, using upwards of 4-5 gallons a week, this small savings adds up quick! And over a year could end up saving us over $400. Location, location, location: Keep in mind the gas you may spend getting your raw milk. We were driving nearly 30 minutes each week to pick up our milk at $5/gallon, which was great, but the gas we used while picking it up ate away any savings. Bartering: I know a gal who barters her farm-fresh eggs for raw milk. It’s a win-win for both parties! Are you good at baking bread? Making yogurt or cheese? Perhaps your farmer would appreciate a loaf or two of homemade bread each week in exchange for fresh milk! Get creative and don’t be afraid to ask…the worst they can do is say “no”! 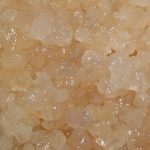 Scrimp elsewhere: Once we found out the numerous health benefits that accompanied raw milk, we made it a priority in our grocery budget to be able to buy it. 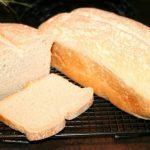 In order to make this affordable, I began baking my own bread, saving over $800 each year on bread alone! Additional money saving tips: Check out our post on 21 ways to save in a real food kitchen for additional tips to help cushion the financial blow. When you find a local source, please be sure to do your homework! Our family likes to visit the farm we’ll be buying our milk from. This allows us to watch the milking process and make sure proper health precautions are being taken. We get to ask questions about the cow’s diet and daily habits (what are they fed, do they have access to the outdoors, are the able to graze freely, etc.). And it’s an awesome excuse to get out of the house and take a home-school field trip to the farm! I hardly crunch numbers to see how much we are saving so this was very helpful because I just always see the money that is going out and not what we are saving! Thank you! Encouraging! Occasionally crunching the numbers is what keeps me motivated! 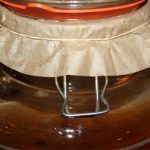 Did you see the updated Sourdough Savings post? 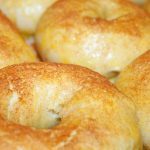 I crunched our year-to-date bread savings (which allows us to get free eggs), it’s pretty encouraging! I’ve got the May and June Weston A Price meetings on my calendar!! Perfect! Ask about raw milk sources and let me know! LOVE this! Also, different states inspect the local raw milk source, they check the farmers process and facility yearly. I find the best way to ensure proper handling is to visit the farm, and KNOW your farmer. Maybe he or she will even let you get in on the milking process!